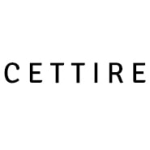 Cettire is an online fashion boutique that specializes in offering deep discounts on high-end luxury products from some of the most recognizable brands around the world. Men and women will be able to shop high-end apparel and accessories, footwear, and home goods on a regular basis through this online catalog. Luxury merchandise is regularly discounted by 20% of the moment it hits the Cettire online boutique, and Sale merchandise can be discounted anywhere between 50% and 80% off of those already discounted prices. Free shipping around the world is included on every order of $300 or more. Sign up for the VIP email program to get presale notifications, exclusive promotions, and a 15% off discount towards the first order online.